This is a quick post to let you know that our family is still celebrating author birthdays despite our busy life. Today we had a laid-back day at home and decided to just play games. 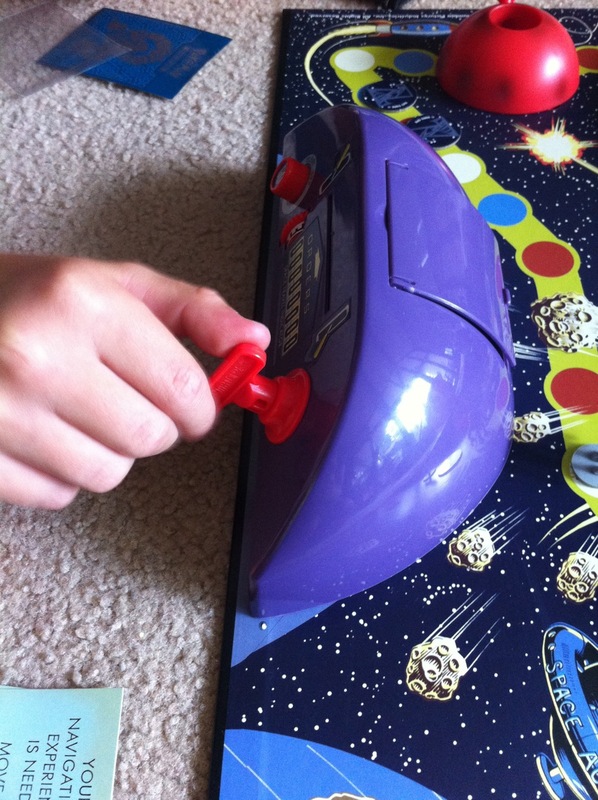 We started with a good ol' game of Uno and then it was my youngest son's turn to pick a game. 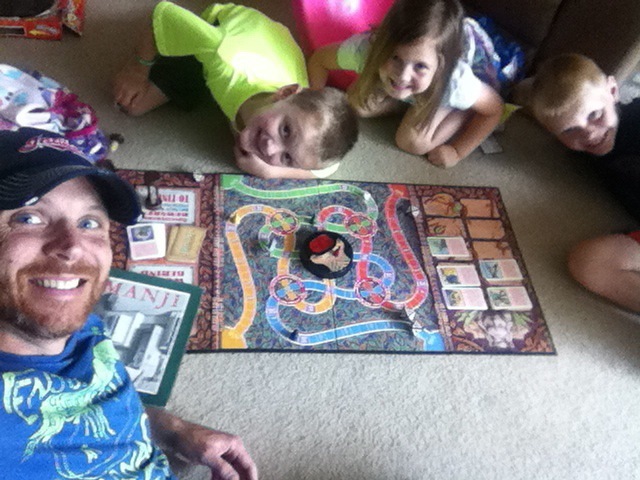 He picked Jumanji! I said, "Great pick! Tomorrow is Chris Van Allsburg's birthday. It is a great way to celebrate." We read Jumanji by Chris Van Allsburg and then played the board game. 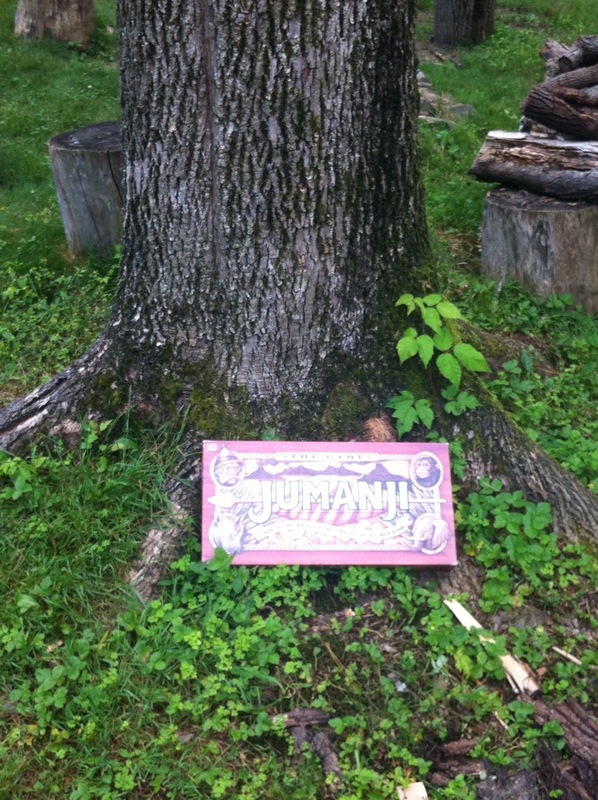 After we played, I wanted to have a little more fun by taking a picture of the game by a tree in our backyard. In the book, Judy and Peter discover the game by a tree in the park. I talked my kiddos into acting out that part of the story. "It's a game," said Peter, handing her the box. 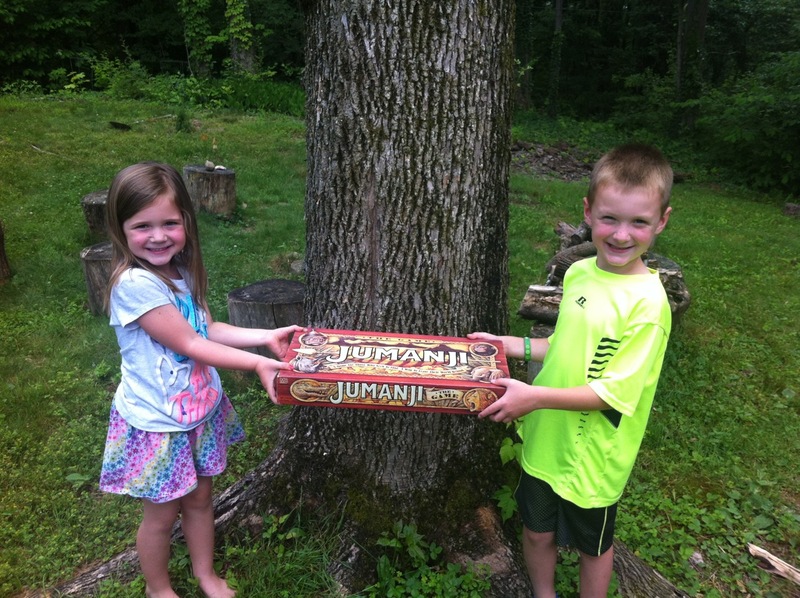 "Jumanji," Judy read from the box, "'A JUNGLE ADVENTURE GAME.'" "Look," said Peter, pointing to a note taped to the bottom of the box. In a childlike handwriting were the words "Free game, fun for some but not for all. P.S. Read instructions carefully." 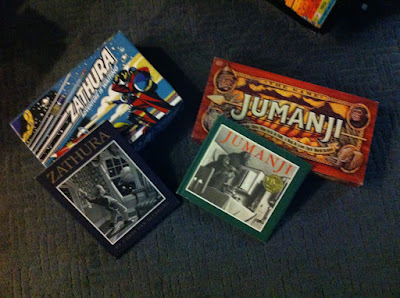 After Jumanji, I reminded them that we also own the game Zathura. This game is based on the book (and movie) which is a companion to Jumanji. This game is a space adventure instead of a jungle adventure. 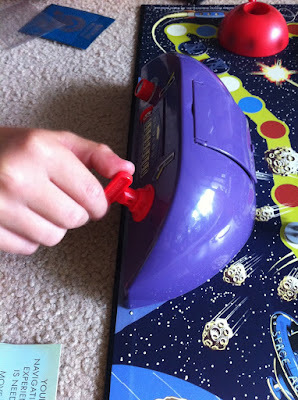 The best part about this game is that the cards pop out of this device after a quick turn of the red handle. 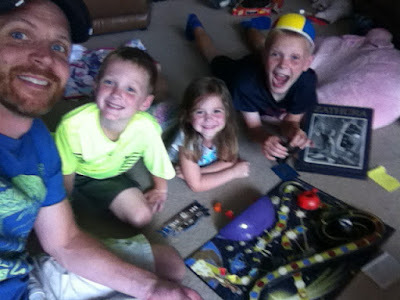 A fun afternoon with great books and fun games. Happy Birthday to one of our favorite authors, Chris Van Allsburg!